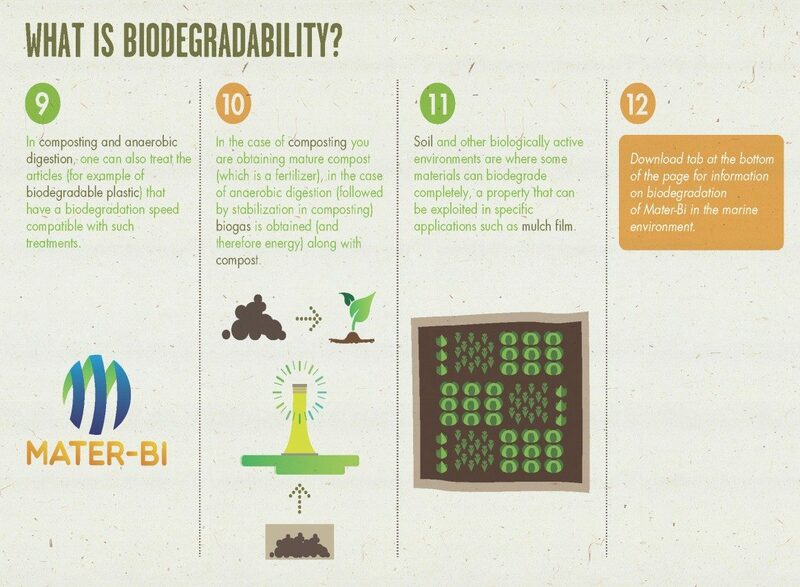 MATER-BI is completely biodegradable and compostable. These two properties allow a plastic packaging material to be recovered through the ORGANIC RECYCLING OF SOLID WASTE ORGANIC (composting and anaerobic digestion) and are specified by the European standard EN 13432. 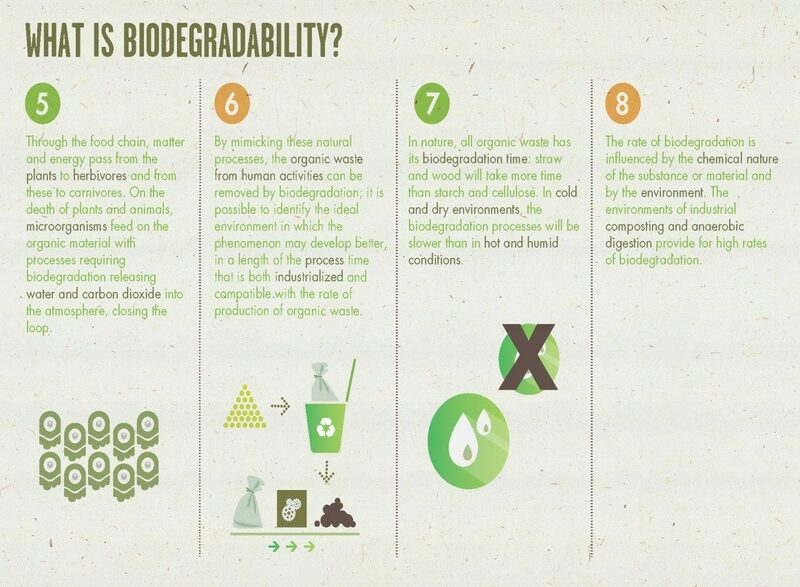 Biodegradability is the ability of the substances and organic materials to be degraded into simpler substances through the enzymatic activity of microorganisms. 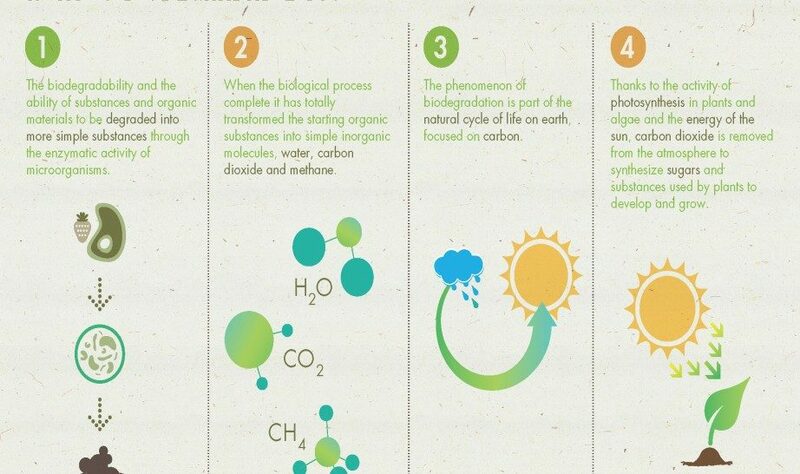 When the biological process complete it has totally transformed the starting organic substances into simple inorganic molecules, water, carbon dioxide and methane. By mimicking these natural processes, the organic waste from human activities can be removed by biodegradation: it is possible to identify the ideal environment in which the phenomenon may develop better, in a length of the process time that is both industrialized and compatible with the rate of production of organic waste. 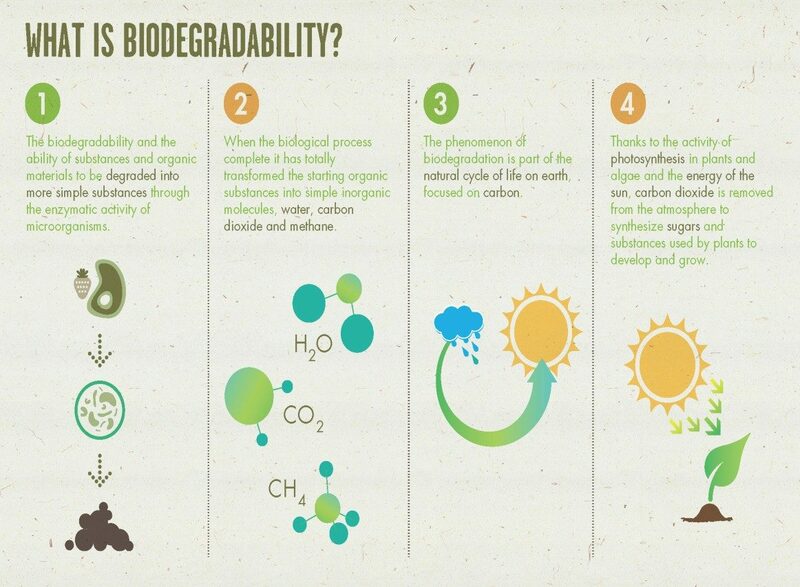 The rate of biodegradation is influenced by the chemical nature of the substance or material and by the environment. 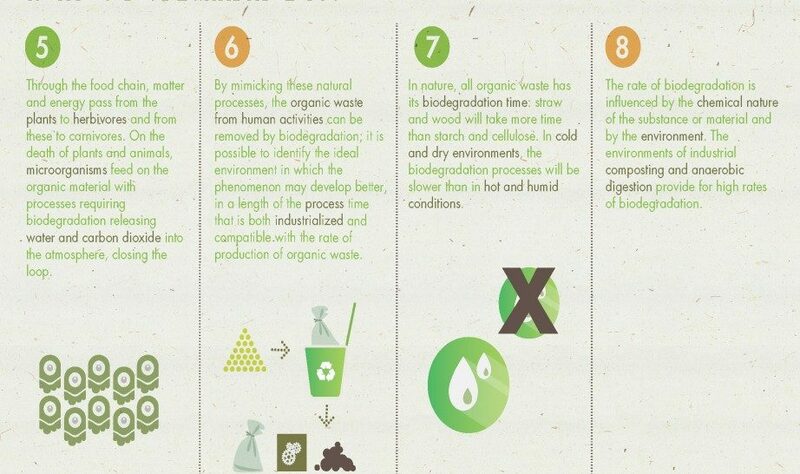 The environments of industrial composting and anaerobic digestion provide for high rates of biodegradation. 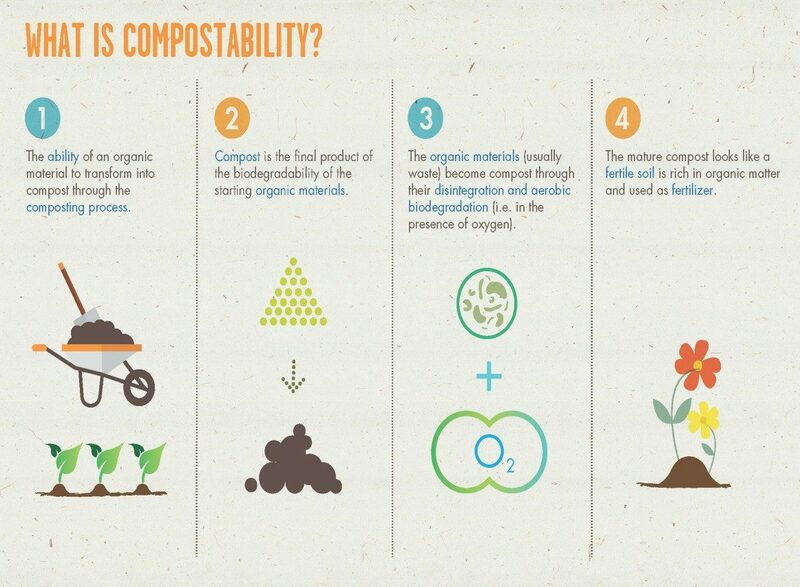 Compostability is the ability of an organic material to transform into compost through the composting process. 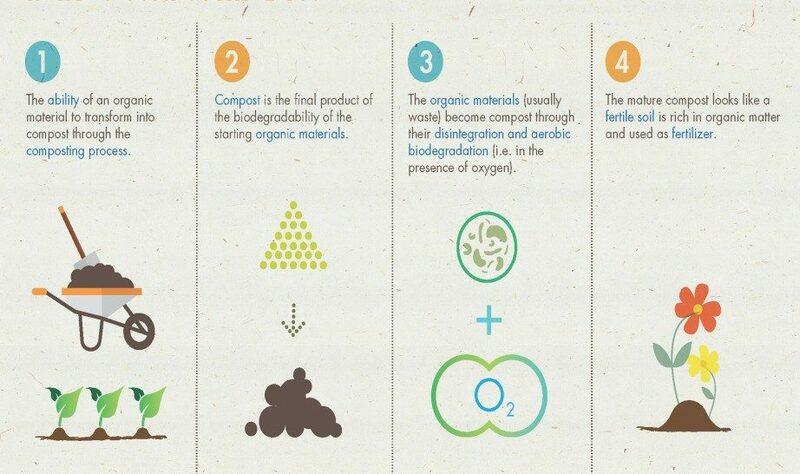 Composting is an aerobic biological process (which takes place in the presence of oxygen), controlled by man. It leads to the production of humus, a mixture of substances. 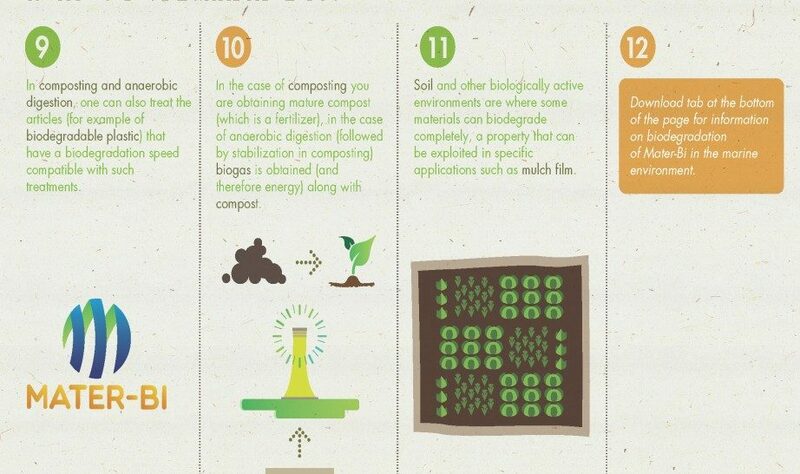 Compost is a GREAT FERTILISER, rich in humic substances and microorganisms and useful to the soil. Its contribution of organic matter improves the soil structure and the bioavailability of nutrients (phosphorus and nitrogen compounds). Through laboratory tests, MATER-BI samples have been exposed to marine sediments collected from the coastal area; a habitat where many plastic wastes end up. The test results confirm that the MATER-BI also tends to biodegrade in natural conditions, such as the marine environment, relatively quickly. The supervised laboratory tests by the Italian Institute of Plastics (IIP) has been verified by Certiquality as part of the pilot program of the European Commission “Environmental Technology Verification” (ETV).